Astronomers recently confirmed that Comet Ison, dubbed the “comet of the century”, has entered the Earth’s orbit.The comet has dramatically brightened with an outburst of gases in recent days as it draws ever closer to the sun, and if it survives it could be the greatest celestial display in more than 300 years.It is now visible to the naked eye and is expected to continue brightening over the next few weeks until it outshines the moon. The Comet Ison is so named because it was first spotted on photos taken by Russian’s Vitali Nevski and Artyom Novichonok using the International Scientific Optical Network telescope last September, while it was still 585 million miles from the sun.The ball of ice and dust is thought to originate from the Oort cloud, a giant swarm of icy remnants from the creation of the solar system, which sits 93 trillion miles from Earth.Although other comets, such as Hale-Bopp, are thought to have originated from the cloud this is the first “sungrazer” to have come from the space on the edge of the solar system in 200 years. Ison, which is travelling at 234 miles (377km) a second, is due to come closest to the sun on November 28, when it is expected to pass 720,000 miles from the solar surface and heat up to 2,760C (5,000F).If predictions are correct the galactic show will rival the Great Comet of 1680, which had a tail 90 million miles long and could be seen during the day because it was so bright, leading many to think it was a punishment from God.Even if Ison breaks up before then, or fails to survive its perihelion, its closest scrape with the sun, experts believe its death throes could be spectacular and say they have already learnt a great deal from it.Matthew Knight, an astronomer at the Lowell Observatory in Arizona and a member of Nasa’s Ison observation campaign, said: “Astronomers are getting the chance to study a unique comet travelling straight from 4.5 billion years of deep freeze into a near miss with the solar furnace using the largest array of telescopes in history.“No matter what happens, now that Ison has made it inside Earth’s orbit, any or all of these scenarios are scientifically exciting.”If the comet – which is best observed through a telescope or strong binoculars – survives its scrape with the sun it will reach its most brilliant in early December. Scottish television writer and producer Steven Moffat was, born 18 November 1961 Moffat’s first television work was the teen drama series Press Gang. His first sitcom, Joking Apart, was inspired by the breakdown of his first marriage; conversely, his later sitcom Coupling was based upon the development of his relationhip with television producer Sue Vertue. In between the two relationship-centred shows, he wrote Chalk, a sitcom set in a comprehensive school inspired by his own experience as an English teacher.A lifelong fan of Doctor Who, Moffat has written several episodes of the revived version and succeeded Russell T Davies as lead writer and executive producer when production of its fifth series began in 2009. He co-wrote The Adventures of Tintin for directorSteven Spielberg, a project he left for his new senior role on Doctor Who. He co-createdSherlock, an adaptation of the Sherlock Holmes detective stories.Many of the programmes upon which he has worked have won awards, including four BAFTAs and four Hugo Awards. In 2012, he was awarded the BAFTA Special Award. The 50th anniversary special of Doctor Who is called Day of the Doctor. It is written by Steven Moffat,who also serves as executive producer alongside Faith Penhale. It has been described by series producer Marcus Wilson as a “love letter to the fans” and by the controller of BBC One, Danny Cohen, as an “event drama”.It will be shown on BBC One on 23 November 2013 in both 2D and 3D. The special is due to be broadcast simultaneously in several countries, and will also be shown concurrently in 3D in some cinemas.David Tennant and Billie Piper, who previously starred in Doctor Who as the Tenth Doctor and Rose Tyler respectively, have been lined up to appear in the special.John Hurt will also star as a previously unknown past incarnation of the Doctor, the “War Doctor”, introduced at the end of the Series 7 finale “The Name of the Doctor”.Joanna Page is also due to star in the episode. Jemma Redgrave will reprise her role as Kate Stewart. The special will feature the return of the Daleks as well as the return of the Zygons, shape-shifting aliens which up until now have only appeared in the 1975 serial Terror of the Zygons. The Day of the Doctor” is planned to be released on DVD and 3D Blu-ray on 2 December 2013 in the UK. It will be released on 4 December 2013 in Australia. The 50th Anniversary will also be released on 10 December 2013 for North America. As a part of the worldwide celebration of the 50th anniversary of Doctor Who the BBC will broadcast An Adventure in Space and Time, a docu-drama written by Sherlock and Doctor Who writer Mark Gatiss, , chronicling the inception and early years of Doctor Who. and starring David Bradley as the first Doctor William Hartnell, the drama follows the series’ first producer Verity Lambert- who was also the BBC’s first female producer – and director Waris Hussein as they struggle to get the innovative children’s show off the ground through the decision to introduce the idea of regeneration, allowing the series to live past any one actor’s portrayal. Norwegian professional rally and rallycross driver Ptter Solberg was born 18 November 1974 in Spydeberg in Østfold. He debuted in the World Rally Championship in 1998 and was signed by the Ford factory team in 1999. The following year, Solberg started his successful partnership with the Subaru World Rally Team.With the Subaru works team, Solberg finished runner-up to Marcus Grönholm in 2002 and then became the first Norwegian to win the drivers’ world title in 2003. In the following two seasons, he finished runner-up to Sébastien Loeb. Following Subaru’s withdrawal from the WRC at the end of the 2008 season, Solberg secured private backing to start the Petter Solberg World Rally Team and competed with aCitroën Xsara WRC and a Citroën C4 WRC. He switched to rallycross after the 2012 season. British car designer Sir Alexander Arnold Constantine Issigonis, CBE, FRS was born 18 November 1906. 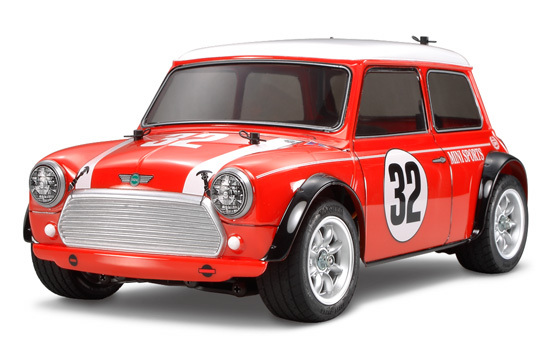 He is remembered chiefly for the groundbreaking and influential development of the Mini, launched by the British Motor Corporation (BMC) in 1959. Issigonis went into the motor industry as an engineer and designer working for Humber and competed successfully in motor racing during the 1930s and 1940s. Starting around 1930, he raced a supercharged “Ulster” Austin Seven, later fitting it with a front axle of his own design, leading to employment at Austin. This greatly modified machine was replaced with a radical special completed in 1939, constructed of plywood laminated in aluminium sheeting. The suspension was also of advanced design, with trailing arm front suspension attached to a steel cross-member, and swing axle rear, all with rubber springs made of catapult elastic. This car was remarkably light, weighing 587 lb, of which the engine contributed 252 lb. By the time the chassis had been completed (hard labour – it was all done by hand, no power tools), Issigonis had moved to Morris Motors LImited, but Austin supplied a “works” specification supercharged side-valve engine. Issigonis usually won, even when entered in the 1100cc class if there was no 750cc category. Most events entered were sprints, but he also raced at circuits.In 1936, he moved to Morris Motors Limited at Cowley working on an independent front suspension system for the Morris 10. The war prevented this design from going into production but it was later used on the MG Y-type. He worked on various projects for Morris through the war and towards its end started work on an advanced post war car codenamed Mosquito that became the Morris Minor, which was produced from 1948 until 1971. In 1952, just as BMC was formed by the merger of Morris and Austin, he moved to Alvis Cars where he designed an advanced saloon with all-aluminium V-8 engine, and experimented with interconnected independent suspension systems. This prototype was never manufactured because its cost was beyond Alvis’ resources.